One of the joys of looking for God during the past year was seeing God in the ordinary. 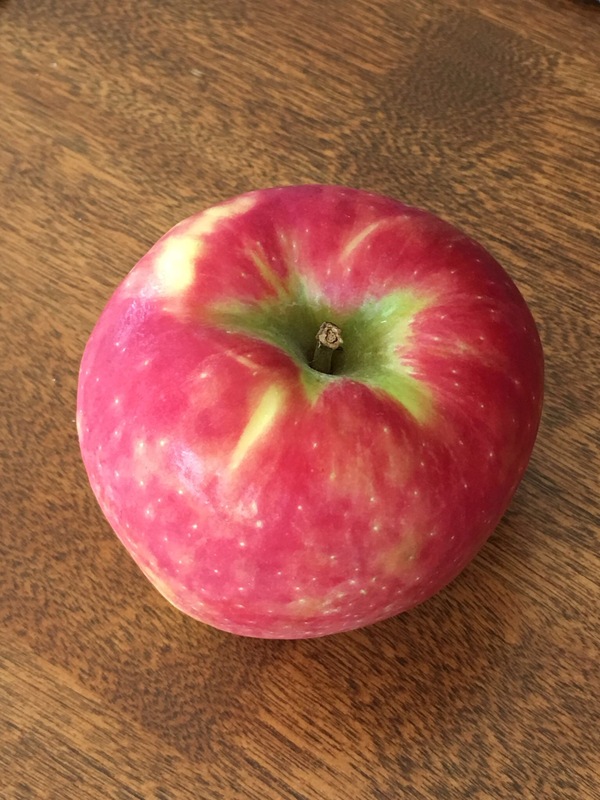 This apple was very plain in appearance, but very tasty! This is another one of those images that I find intriguing, but I am not sure why. Maybe because the tree looks dead while also looking alive. 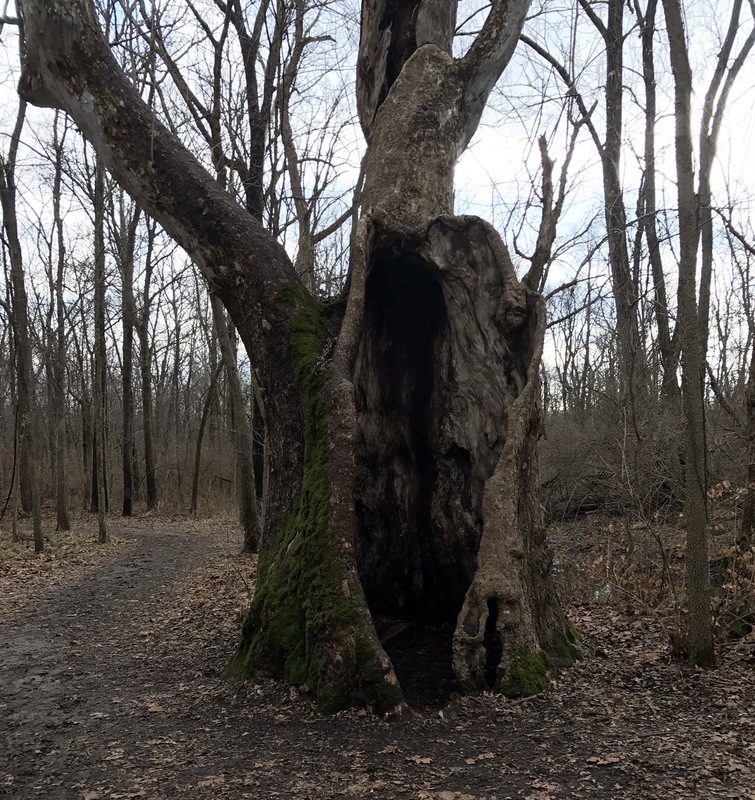 The tree is hollow but still very strong. For whatever reason, this is where I saw God one December day. 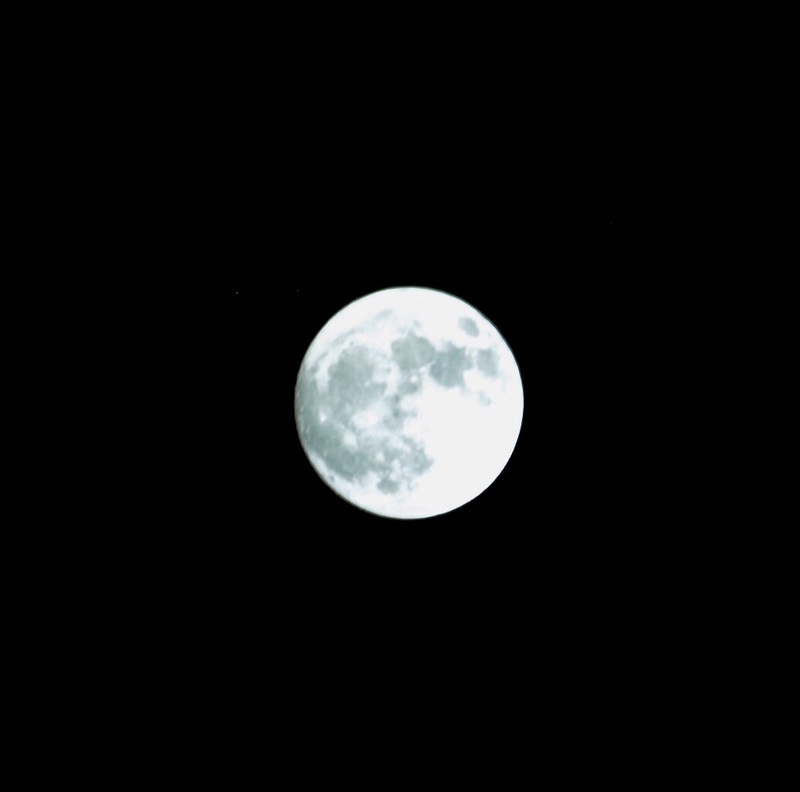 I find the moon fascinating. It is amazing the details that are visible to the naked eye. And what holds the moon in orbit around the earth? I know, gravity, but why doesn’t gravity make the moon crash into the earth? As I write this, we are at the Sandino Airport (Managua) waiting for our flight home. 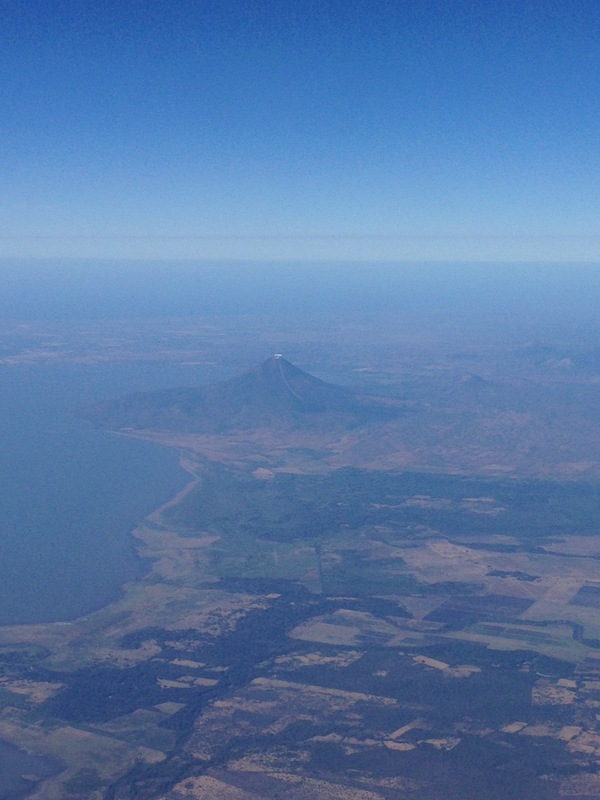 I’m posting a photo from 1 year ago, looking at one of the volcanos near Managua. I love taking pictures from an airplane; some of the views can be stunning. 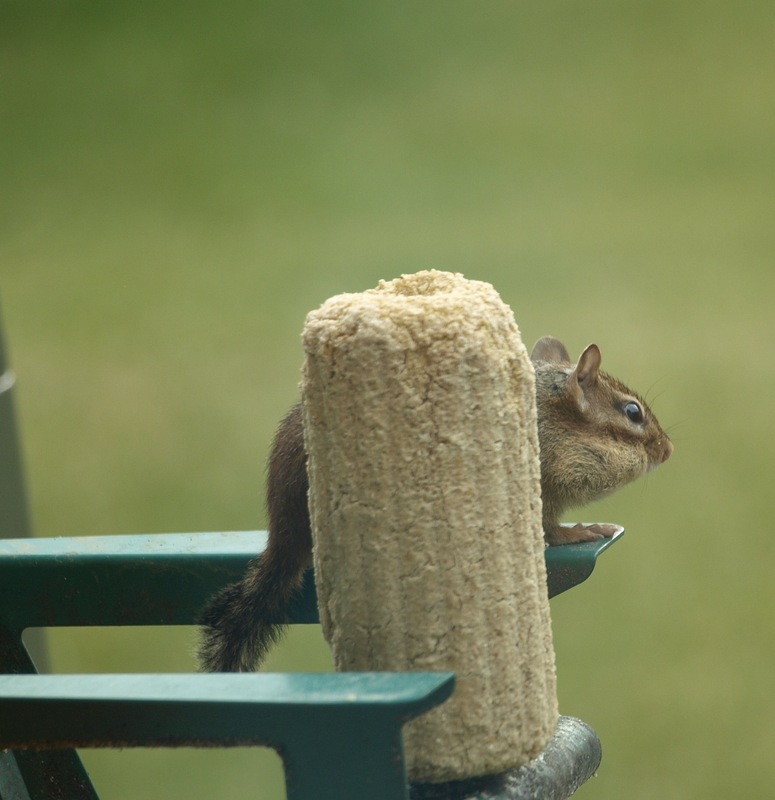 When we first started putting bird feed in our backyard, we discovered that the squirrels really liked it. So Marylynn bought this little chair that hold a corncob (or a fake corncob made of nuts, in this case). The squirrels don’t seem very fond of it, but the chipmunks sure are. I think we enjoy watching them almost as much as the birds. I was driving between the office and the hospital one day and had this fly in my car. I kept rolling down my window hoping it would fly out, but couldn’t coax him (her?) out. This continued until I got to the hospital. About this time, I realized I had not yet taken a picture of where I saw God that day. 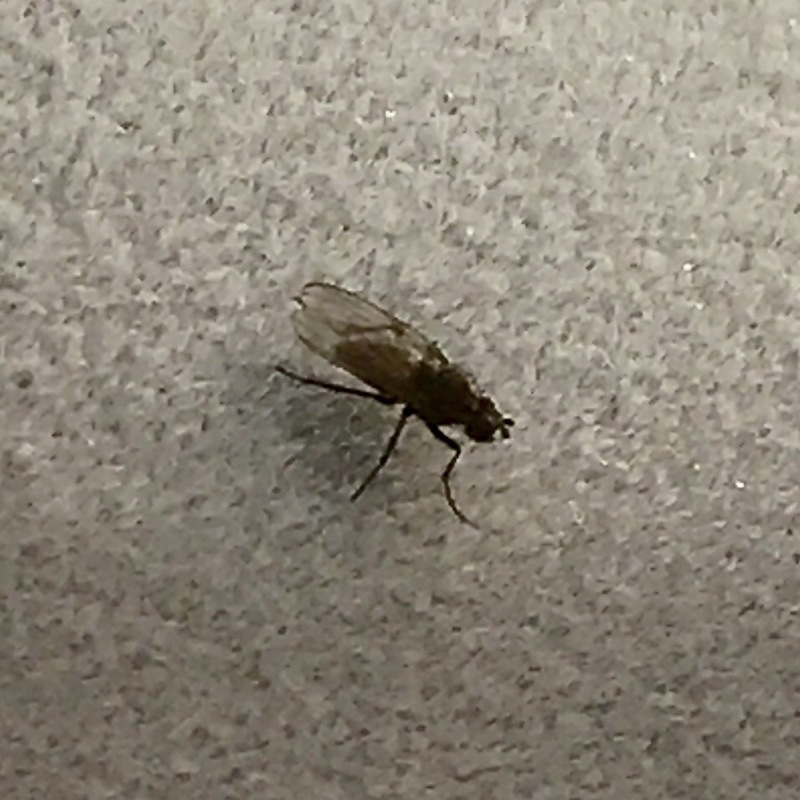 I remember thinking, I’m going to take a picture of this fly, and then he is going to fly out the window. And that is exactly what happened. It goes to show that if you are looking, you will find God in unexpected places! I’ve shared before how much I enjoy seeing sunrises and sunsets. I think part of the joy can be the “unexpectedness” of the moment. This photo was taken one week ago. I had gone out to the park for a short run after work. 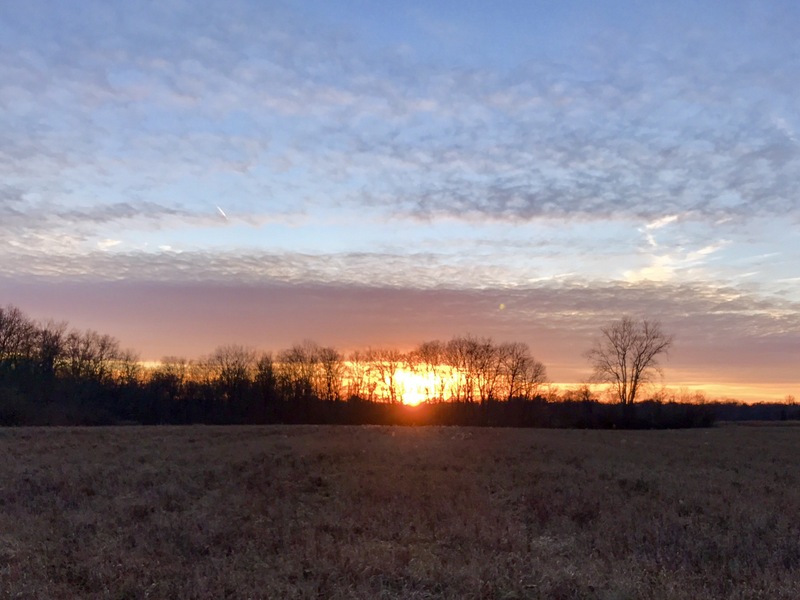 As I came through a clearing in the trees, I looked west and was pleasantly surprised by the beauty of the sun setting.